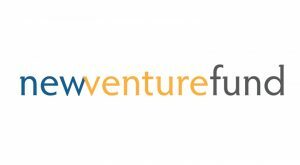 Established in 2006, the New Venture Fund (NVF) is a public charity that incubates large-scale social change projects both domestically and internationally. NVF is the fiscal sponsor of the Hope and Heal Fund, established in 2016 by philanthropic leaders to address the urgent issue of gun violence in California, and to model community-based gun violence prevention solutions for the nation. Hope and Heal Fund takes a public health approach to address all forms and drivers of gun violence. This grant furthers the Hope and Heal Fund’s ongoing activities, which include: investing in research that uncovers actionable data; scaling innovative strategies proven to decrease firearm violence; analyzing the effectiveness of California’s gun laws; and creating other tools to effectively communicate the latest research.